Ages 6 and up. Just in time for spring. Create a wonderful birdhouse for our feathered friends. Bring a friend, a date, or come meet new friends. Art materials and tools included. Sink your fingers into a lump of clay and let the magic begin! Create a personalized mug, tumbler, or tea bowl, using slabs of clay and texture tools. 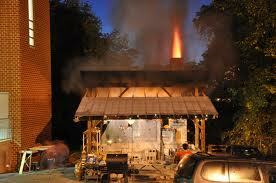 Your creations will be kiln fired and glazed with a glaze of your choice. Works will be returned to MRAC for you to pick up or mailed to you for an additional $10 fee. Bring an apron or dress accordingly. Beverages and light snacks included. Can’t wait to dig into the dirt? How about sinking your fingers into clay first! Join this workshop and create a beautiful hand-made pots created by you! Use indoors or out. All material provided. Ages 6 and up. Spring blooms in search of great pots – made by you! Bring your special adult for a morning of creative clay. Work independently or follow along with a difference project offered each week. Current Students: Bring a friend to the studio for a creative evening working in the studio. Show off your skills and just have fun! Check out the photos from the May Firing below ! Join Manayunk Pottery teachers and student for an open house, Sunday April 28, from 11:00am-4:00pm. View all aspects of creating, from the unformed lump of clay to wonderful expressive works made on the potter’s wheel and by hand building. 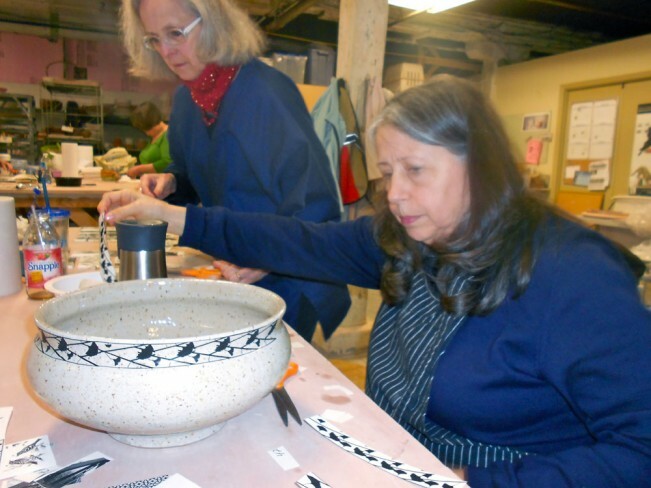 Sign up for an upcoming workshop, or purchase pottery made at Manayunk Pottery. Organized by Sandi Pierantozzi, Benefits CERF (Craft Emergency Relief Fund). Hosted by Montgomery County Community College, in suburban Philadelphia. Registration open now. 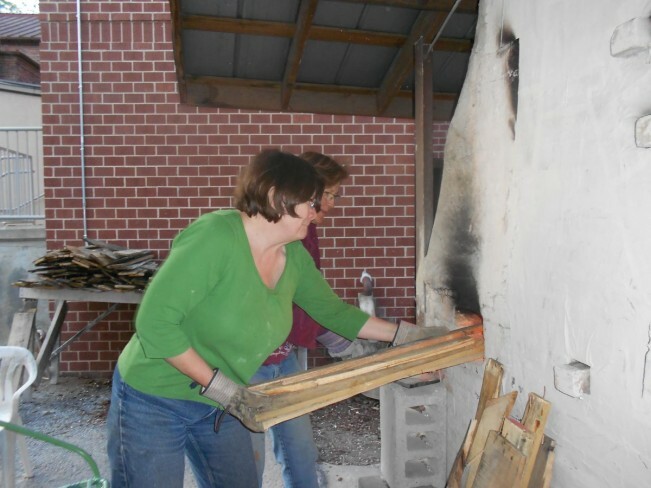 Workshop: May 3 & 4, 2013 – Join fellow students in the wood/salt kiln firing at Baltimore Clayworks. Promising to be a very exciting day!